Over the weekend, Pokémon GO players started seeing a brand new Pokémon appear in the wild and it came with a confusing bit of stats and effects. The creature, now known as Meltan from Niantic, is a curious creature with a bolt for a head and a single floating eye in the middle, with the body of a white-shaded Psyduck and a tail that looks like a stripped wire. By all accounts, this looks like a creature that didn’t get finished in the design phase. But it’s currently roaming around the world right now as a catchable creature with unknown stats and abilities that you can’t use in battle. The company posted a new video today showing it off, now if they’ll just tell us what this is all building to, we’ll be good. What’s this? Trainers, thanks to your field reports, we can now confirm that a brand-new species of Pokémon has just been discovered! 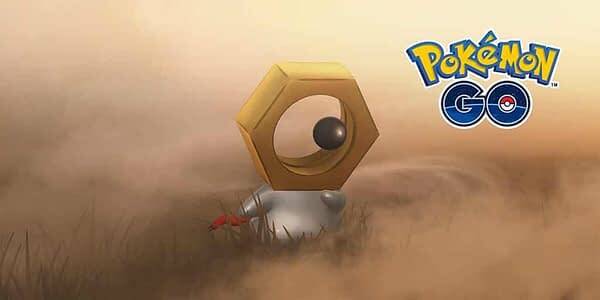 Introducing Meltan, the Hex Nut Pokémon! Professor Oak and Professor Willow have teamed up to research this mysterious new species of Pokémon, and what they’ve uncovered is pretty interesting. Take a look at their findings so far, and let us know in the comments if you’ve encountered Meltan in the wild! AtGames Releasing a Series of Retro HDMI Consoles Called Blast!